This epic fundraiser for Greentopia took months of planning and a lot of day of coordination for the Agathi & Co Team. We are so grateful to have the opportunity to work work towards a great cause with such a unique event. 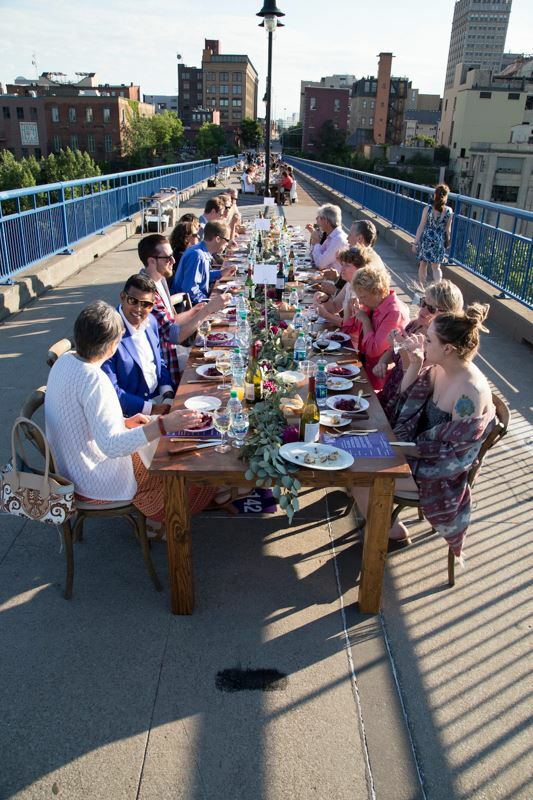 Dinner on the Bridge served over 150 people on the Pont De Rennes, a steel truss bridge overlooking High Falls. 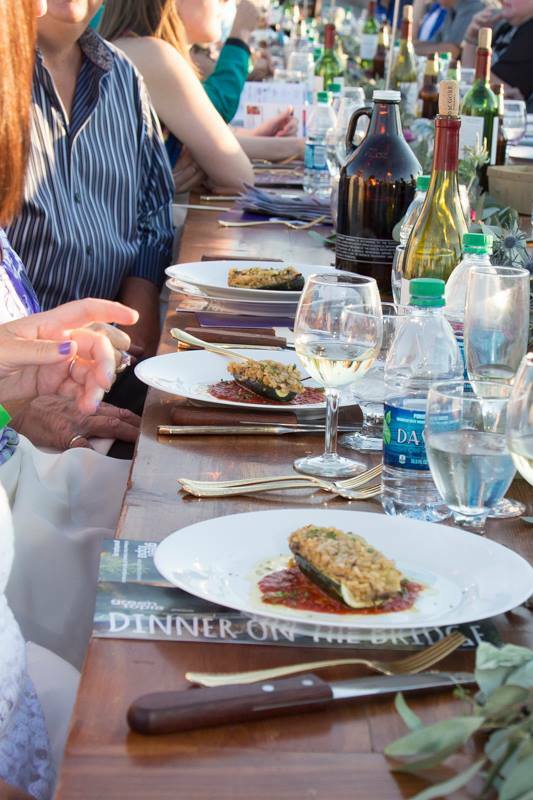 The meal was 9-courses created by ten different local restaurants and catering services without a kitchen! This feat was no easy task. Starting at 7am the Agathi & Co Team set out to make a beautiful event.